The Sony Tablet P finally comes to the US on March 9th. 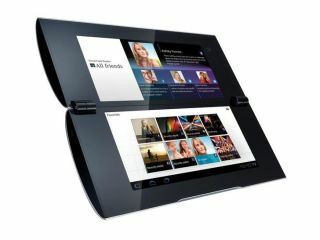 The Sony Tablet P is finally coming to the states, with the dual-screen folding device arriving in just a few days time. The Sony Tablet P's US release date is March 4th. It will cost $399 with a two-year contract with AT&T. It's been available for months in the UK, and we already have a review. That contract will require a $35 a month 3GB data plan, or you can bump the plan to 5GB a month for $50. The Sony Tablet P is a unique dual-screened tablet that folds in the middle, ala Nintendo DS. Both screens measure 5.5-inches, and gaming is clearly a priority. The Tablet P is Playstation-certified and sports a 1GHz processor, a 5MP camera, and 4GB internal storage. So what do you think? Is the price right for a gaming-centric tablet or would you rather save some money and buy the multi-featured PS Vita?